The Heat-Timer Wireless Network Sensor System is designed to be utilized in a variety of large buildings, garden apartments, and in retrofit applications giving both the accuracy and flexibility required to heat those buildings. Its aim is to ease the installation of space sensors in buildings were it would be difficult or cost prohibitive utilizing other means. Thus, providing Heat-Timer Platinum controls with communication the access to the wireless sensor data. 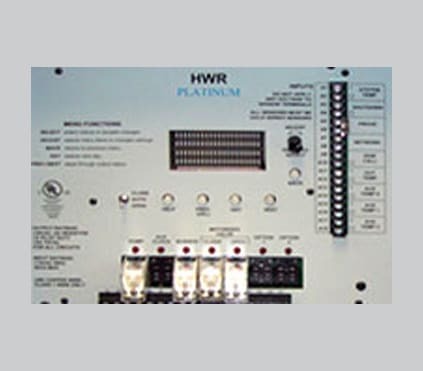 The values read from the wireless system is used by the Platinum controls to fine-tune its operation. Furthermore, the Platinum controls can be configured to log this information. Flexibility in Upgrade and Expansion. The Heat-Timer Wireless Network Sensor System has been designed to ease installation. 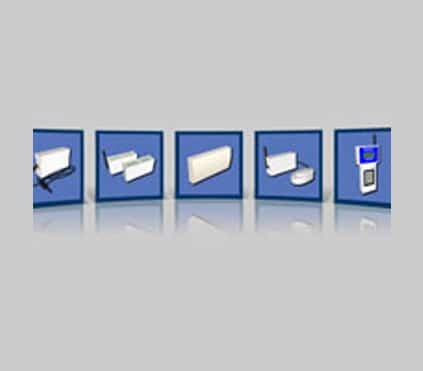 Wireless Sensors can be mounted virtually anywhere. By adding new Transceivers/Routers to the wireless network, the system can get to areas that are otherwise difficult to reach. A major advantage of the Heat-Timer Wireless Network Sensor System is its Transceiver /Router capability to communicate and exchange data with other Transceivers/Routers on the same network, breaking many wireless barriers that existed in other systems. Improved Penetration and Extended Range. The Heat-Timer Wireless Network Sensor System utilizes the 900MHz frequency range for better penetration. The Frequency Hopping Spread Spectrum has been used to improve performance and range. This allows the system to be installed not just in high-rise buildings, but also in garden apartments, campus type environment, etc. Adjustable Transmission Power. The flexibility to utilize transmission power from 25mWatt to 250mWatt not just reduces installation cost, but increases range and reliability. Different components of the Heat-Timer Wireless Network Sensor System will have different transmission power based on the surrounding conditions. This gives the capability of reaching areas that would have been otherwise difficult. Secure Data. Having multiple buildings nearby utilizing this system will not jeopardize your building’s data. Each building’s components are invisible to other buildings. For further security, when adding additional components, only components customized to the specific Wireless Network Sensor System will be available. Wireless Programmer and Diagnostic Tool. 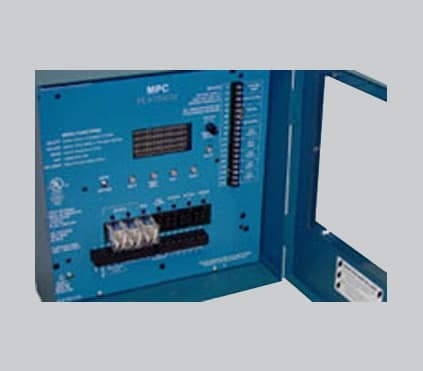 The Wireless Programmer is a valuable configuration and installation tool. With it, you can view, test, configure, and remove components from your wireless network. In addition, this tool can be used as a diagnostic tool. Use the Data. The data from the Heat-Timer Wireless Network Sensor System can be downloaded through the Heat-Timer Platinum control to the Visual Gold Plus Software (for Platinum RI and RIM units) or exported and analyzed to the Internet (for Platinum RINet controls). The data can be logged, used for alarms, or downloaded into your computer in a variety of formats for different analysis. All settings are stored in an Eprom. Easy Installation and Configuration. The Heat-Timer Wireless Network Sensor System is designed to eliminate installation complications and excessive wiring costs normally associated with wired sensors. Sensors are powered by long-life batteries. 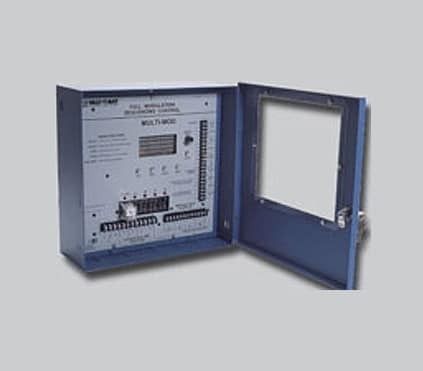 The Network Manager and External Antenna Transceivers can utilize the optional Outdoor Antenna for large wireless distances.